“Real villains are among us. Real heroes are within us.” In November of 2000, coming off the critical and financial success of “The Sixth Sense” (1999), writer/director M. Night Shyamalan (successfully) sought to make lightning strike twice with “Unbreakable” (2000), a totally original superhero film starring Bruce Willis and Samuel L. Jackson that went on to become a cult classic. 17 years later, Shyamalan delivered a much anticipated sequel to “Unbreakable” (2000) in the form of “Split” (2017). Prior to the release of “Split” (2017), no one realized it was supposed to be a sequel to “Unbreakable” (2000), but thanks to a hidden post-credits scene, the world of “Unbreakable” was expanded upon and forever changed as new connections between the two films were revealed. Now, a full 19 years after the release of the original “Unbreakable” (2000), Shyamalan has returned with “Glass” (2019), an all-new comic book thriller that is the conclusion of the aforementioned films, turning them into a trilogy. Set after the events of “Split” (2017), “Glass” (2019) looks into the life of David Dunn (Bruce Willis), otherwise known as The Overseer, a vigilante who hunts down Kevin Wendell Crumb (James McAvoy), a man with 24 distinct personalities including one called “The Beast,” a personality that, when in full control, turns Crumb into a superhuman killing machine. 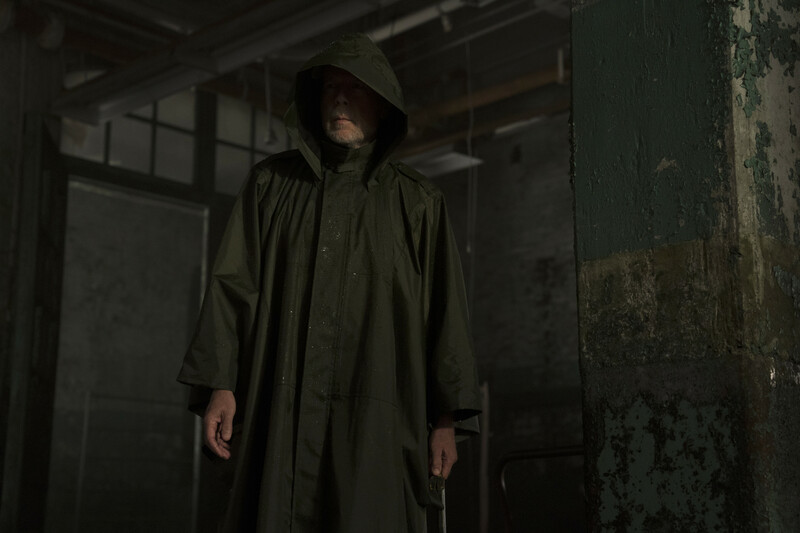 During a failed effort to take down The Beast, Dunn, along with Crumb, both get apprehended by Philadelphia police and are both sent to an insane asylum where they discover Elijah Price (Samuel L. Jackson), also known as Mister Glass, a man with a powerful mind, but weak bones. After seeing “Split” (2017), I had high expectations for M. Night Shyamalan. He seemed to be hitting his stride once more after multiple critically and economically underperforming movies. “Glass” (2019) shows that while Shyamalan has gotten better since the days of “After Earth” (2013) and “The Last Airbender” (2010), he still hasn’t managed to duplicate the quality of his other projects like “Signs” (2002) or “The Sixth Sense” (1999). 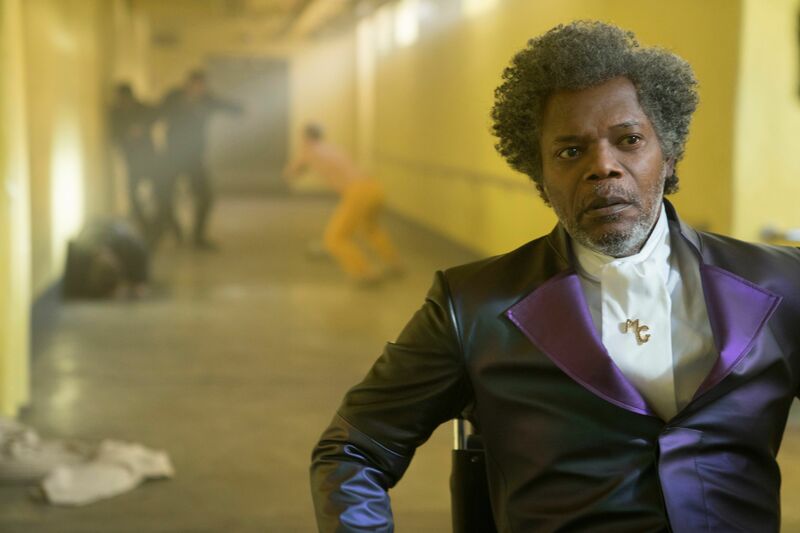 That being said, the first half of “Glass” (2019) is absolutely fantastic. The creative, colorful cinematography and imagery are spectacular, as are the performances. James McAvoy never ceases to amaze in his performances regardless of genre, and that’s especially the case in his portrayal of Kevin Wendell Crumb. McAvoy’s constant shift from personality-to-personality is flawless and he completely embodies each of the 24 distinct fictional characters. Bruce Willis, as of late, has given some weak performances, but manages this time to deliver a strong performance as David Dunn, even though he has practically no dialogue. Samuel L. Jackson, though his time in the movie is limited, gives a masterful performance, really selling the crazy-old-man aspect to his character, while in some moments also making me believe he was genuinely unwell. Sarah Paulson is the first of my many issues with the film. Without spoiling, I had trouble deciding if her performance was weak, or rather if it was just the material she was given. Paulson’s whole character and backstory was a major negative for “Glass” (2019). An additional complaint I have with the film is with the second half of the movie. Shyamalan, known for his plot twists, manages to deliver a weak one here, doing things that throw away the potential for a sequel to this trilogy. To avoid spoiling the plot, that’s all I can say about that particular criticism. 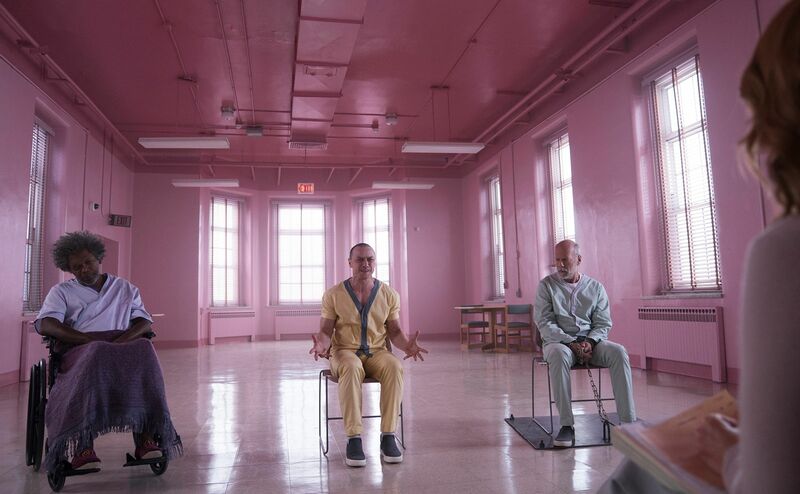 “Glass” feels like a combination of ideas Shyamalan had, but couldn’t decide on, so he put them into a blender and served up what was created. In this case, the shake isn’t good! The ideas he toys with are definitely fascinating, but just don’t flow in the grand scheme of the film. Also, Mister Glass, the titular character, doesn’t even really show up or speak until the second half of the movie. It’s infuriating because in “Unbreakable” (2000), Glass is one of the most interesting characters, so to see him wasted feels like, just as with the rest of the film, a massive missed opportunity. 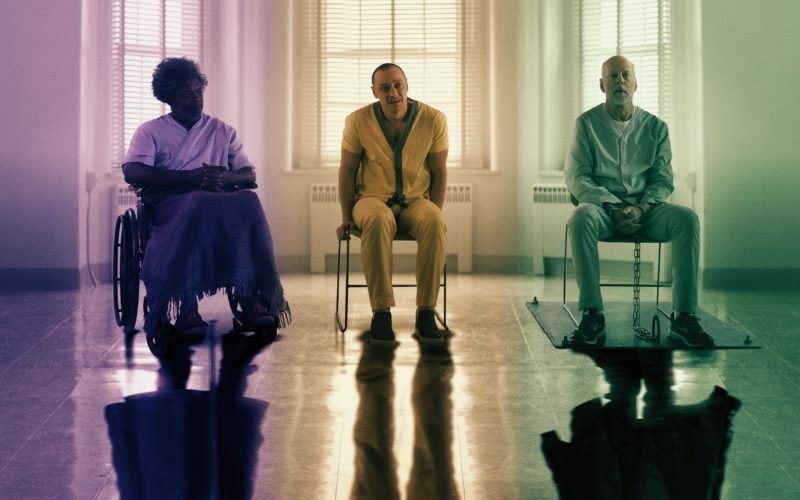 Since its release on January 18, 2019, “Glass” has boasted a strong opening weekend box office, bringing in an estimated $100 million as of January 21, 2019. Critics have been primarily negative towards M. Night Shyamalan’s newest production, with Rotten Tomatoes’ critics giving the film a 35; Cinemascore, a B; and Metacritic, 44%. Due to a shattering amount of issues I have with the film, “Glass” (2019) is an overall disappointing addition to the “Unbreakable” (2019) franchise. Thus, much to my dismay, I rate the film at 47%. While I personally have complaints about the angle Shyamalan took in the film, as did others based off of the critical reception, it’s worth noting that Shyamalan supposedly self-financed this film for the most part and thus, was able to completely pursue his vision without outside interference. As such, even though I didn’t love this movie and feel it is a narrative mess that is not the deserved ending to what was looking to be a perfect, underrated, and original superhero trilogy; I respect that Shyamalan was true to himself and his vision and took the very unusual path of using his own money in order to make sure he told the story he wanted to tell.